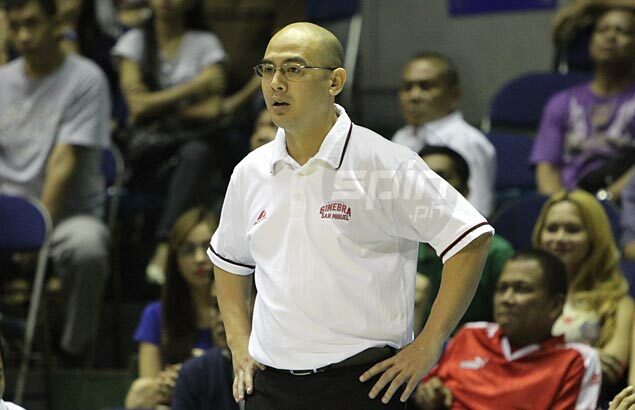 BETHUNE ‘Siot’ Tanquingcen is now part of the coaching staff of the De La Salle Green Archers. The former Barangay Ginebra, San Miguel, and Barako Bull head coach sat at the La Salle bench during the Archers' Filoil preseason tournament game on Saturday against the University of the East Warriors. Tanquingcen takes the place of Freddie Abuda, who is part of the coaching staff of Barangay Ginebra in the PBA under rookie coach Frankie Lim. “He is part of the coaching staff,” said La Salle coach Juno Sauler. Interestingly, Tanquingcen was a member of the University of Santo Tomas championship teams that beat La Salle during the 1990s in the UAAP. Tanquingcen has more than a decade of coaching experience in the PBA and steered the Gin Kings and Beermen to three championships during the mid 2000s. His last stint as head coach was with the Energy last year. “Just like coach Allan (Caidic) and coach Jun (Limpot), whatever inputs coach Siot can share with his vast experience coaching in the pros, it’s helpful not only for me but also to what he is been doing with the players during practices,” said Sauler. “They all share whatever experience and basketball lesson they’ve learn during the course of their career whether playing or coaching,” the La Salle coach added.